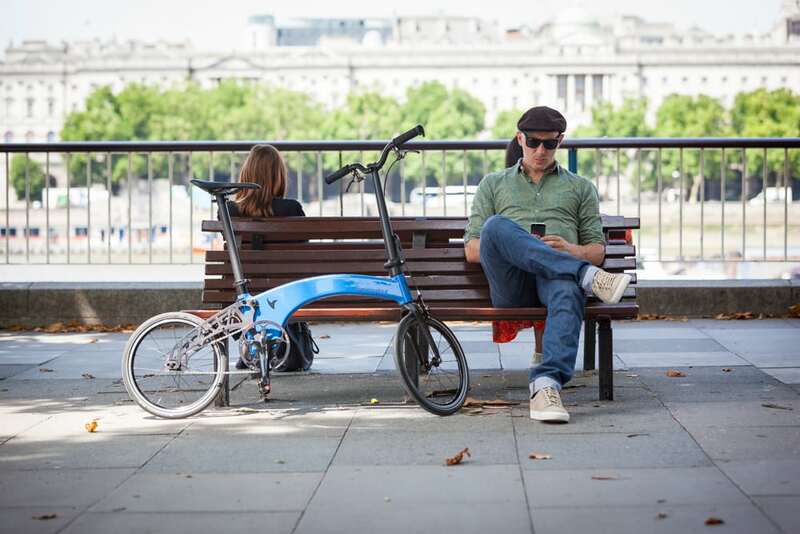 Although folding bicycles were employed by the military as early as the late 1800s to be dropped by parachute, it wasn’t until around the 1980s that the modern, compact folding bike was ‘born’. Throughout this illustrious history, any number of iterations have emerged, though designs that boast the optimum blend of transportability, efficiency and rideability, have been rare. The trouble comes with finding a suitable middle ground between weight, strength and foldabilty – which requires a sophisticated knowledge of engineering. Naturally today’s models are designed less with the intention of escorting a parachute regiment out of an aircraft and more with the intention of escorting a city-worker off a packed commuter train. Practicality is key but, while some models fold into minuscule condensed versions of themselves, they tend to weigh more than the average suitcase checked in at Heathrow Terminal 5. Enter designer Petre Craciun, who was flummoxed by the lack of easily portable models on the market and became obsessed with designing one that his girlfriend could easily carry around. Indeed, had they lived on the ground floor, the bike may never have materialised. This was when Hummingbird was born. Petre had several lightbulb moments along the way, including a frame made of a single piece of carbon fibre and a folding mechanism that doesn’t need a tensioner, since the pivot for the rear triangle is around the bottom bracket shell. Rather than looking to a Chinese manufacturer to bring the bike to market, help was closer at hand in the form of UK-based Prodrive – a company that boasts a more than adequate knowledge of engineering. The motorsport and technology giant has been at the forefront of engineering for three decades, providing lightweight composites to Formula 1 cars, supercars (including the Aston Martin that recently won at Le Mans), aircraft and even the latest Mars Rover. Prodrive is also a technical supplier to the Land Rover BAR sailing team. As a reminder of this impressive ‘CV’ not that it’s needed), stripped-down race cars sit alongside the Hummingbird workshop in the Banbury headquarters. The frame is manufactured at Prodrive’s dedicated composites factory, to a highly meticulous process that involves fusing together layers of carbon under high pressure and heat, resulting in a perfectly compact, strong and beautiful frame that is then carefully handcrafted and finished to the highest standards. The bikes are then assembled by hand with immaculate precision. Hummingbird also went through stringent testing using the latest computer engineering software in its design phase. 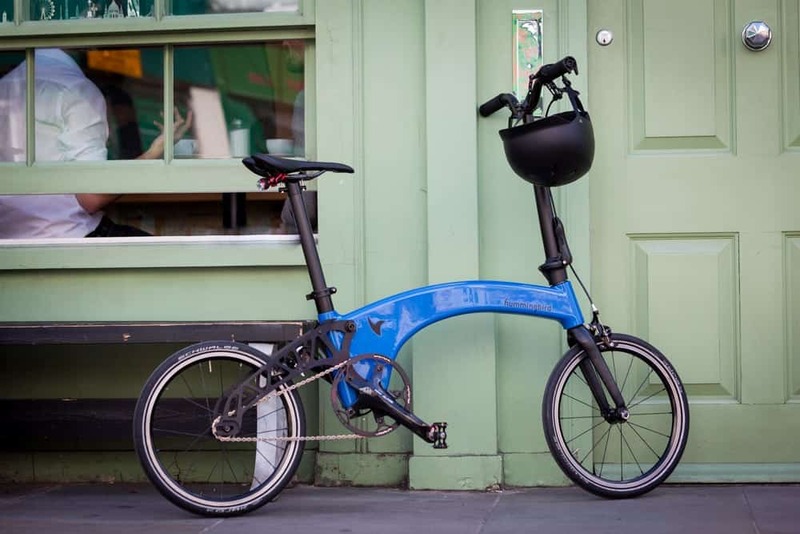 The result is a folding bike that is engineered and manufacturer to Formula 1 standards – a bike that is perfectly practical, flawlessly blending transportability, efficiency and rideability; weight, strength and foldabilty. Less practical is the price – a basic model will set you back £3,495 – but, knowing the amount of engineering that has gone into its development, somehow this seems a pinch. Hummingbird is taking orders now. Visit https://hummingbirdbike.com/.